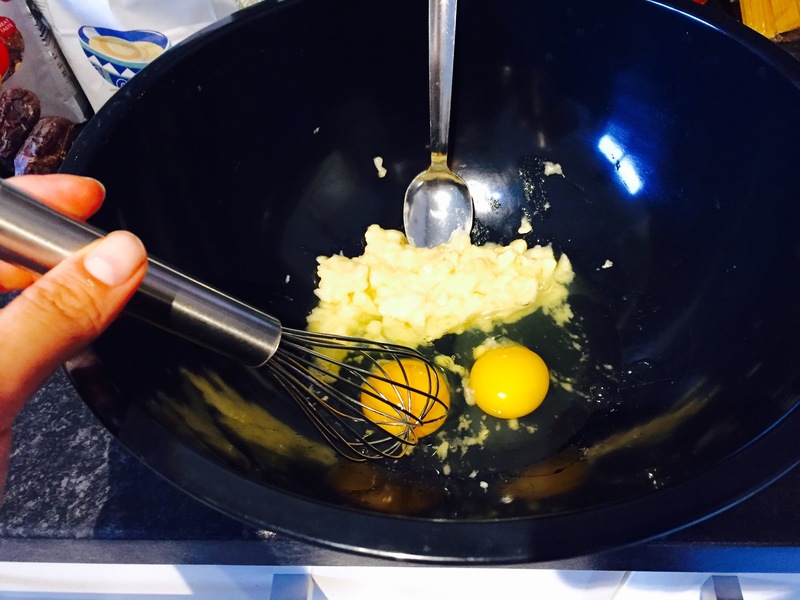 Mash the banana and beat the eggs, mixing them together. 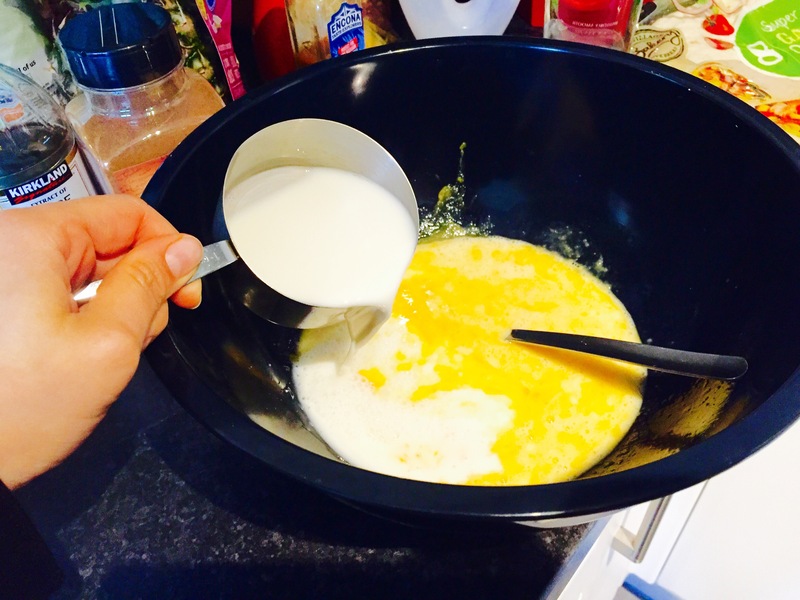 Add the milk and vanilla to the egg and banana. Stir into incorporated and smooth. 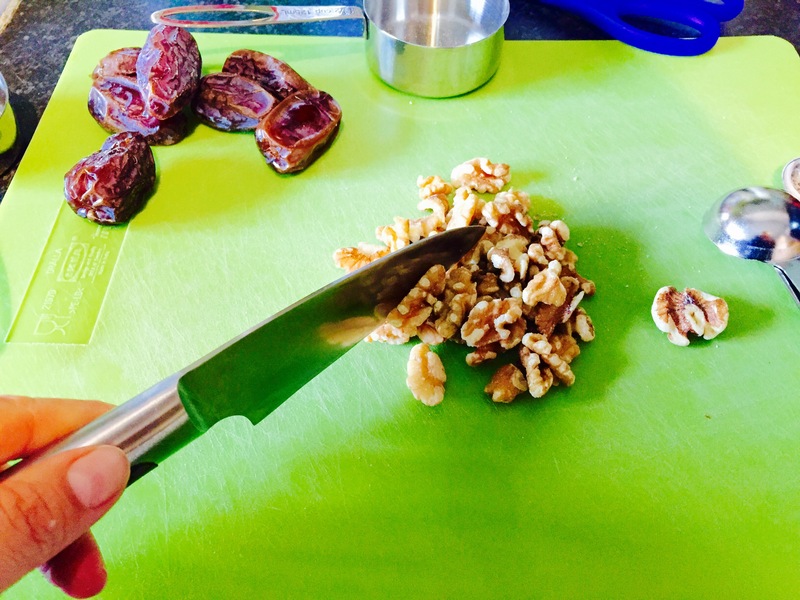 Chop up the dates and walnuts. I think I’ll buy pre chopped dates next time as it made the board a bit sticky. I used medjool dates as I think they have a caramel like flavor. 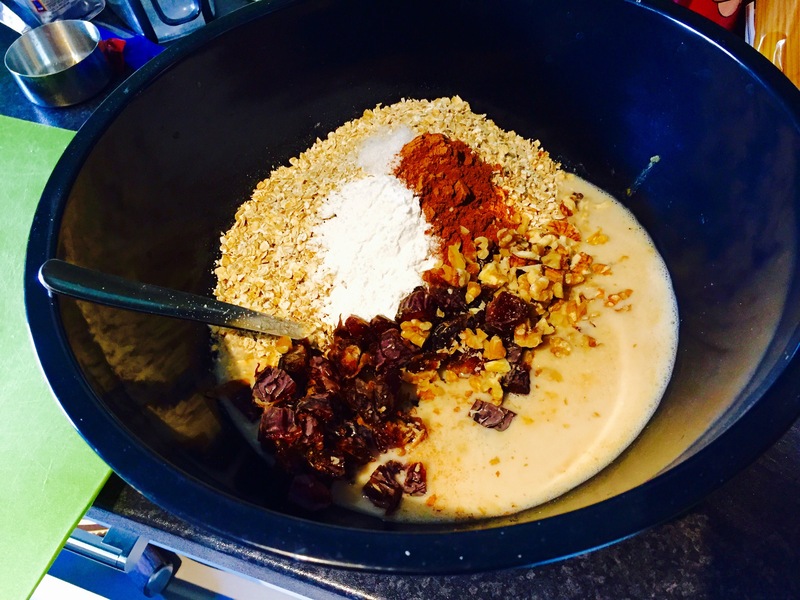 Add the dates, walnuts, oats, salt, baking powder, and cinnamon to the liquid mixture. Mix thoroughly. 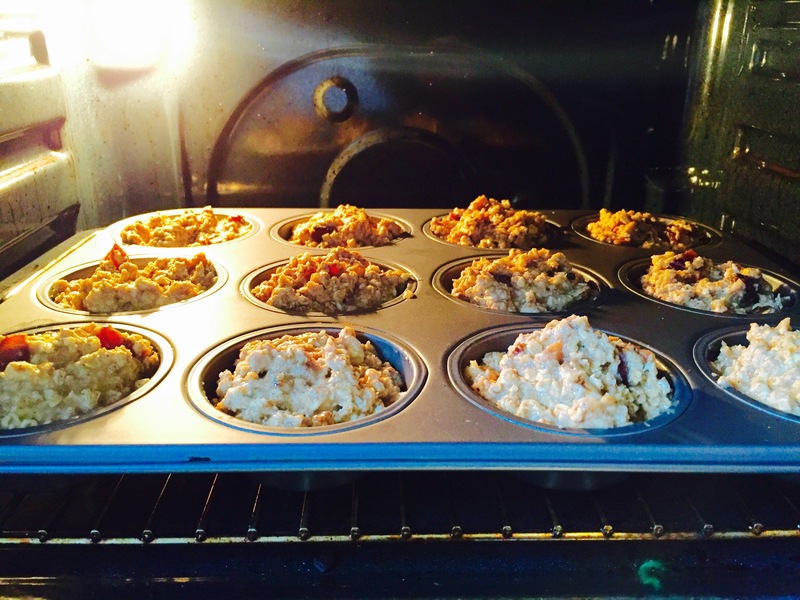 Heat your oven to 180 C / 350 F. Scoop the mixture into a greased or lined muffin tin and bake for 20 minutes. And there you have it! 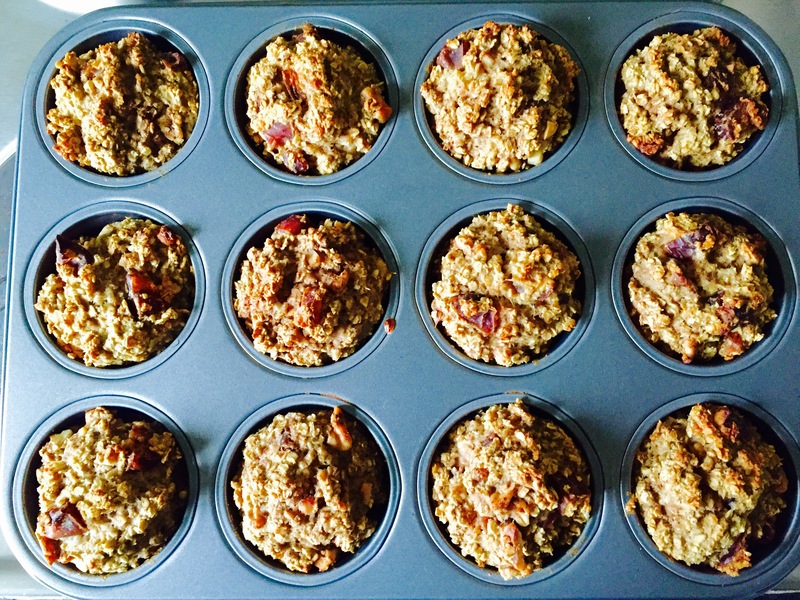 Date and Walnut Oatmeal to Go! 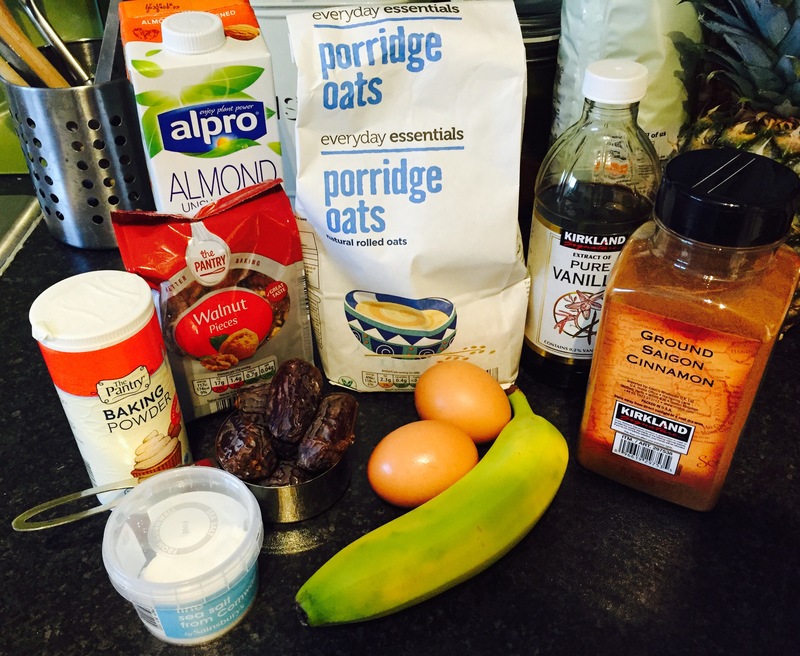 These are sooo good and with the addition of these gorgeous dates, you won’t miss the refined sugar! 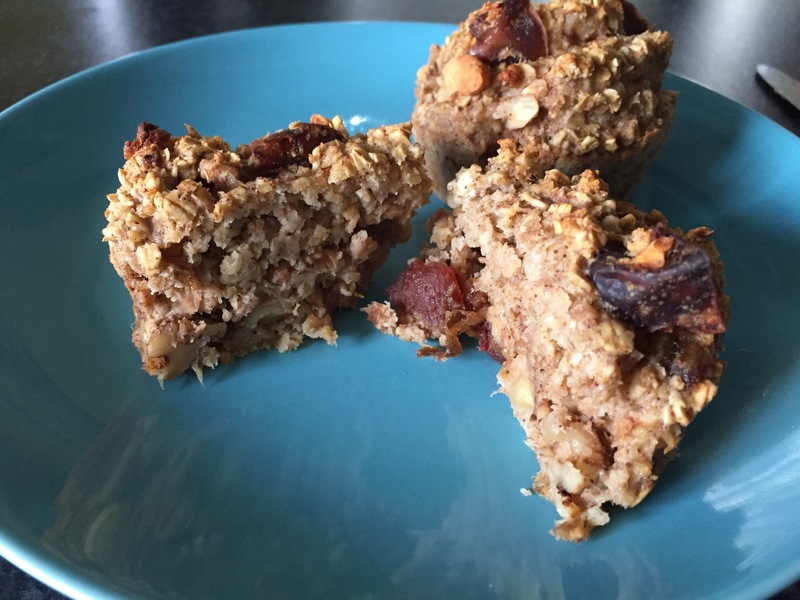 These are easy to make, easy to eat on the go, and an easy way to have a healthy treat. 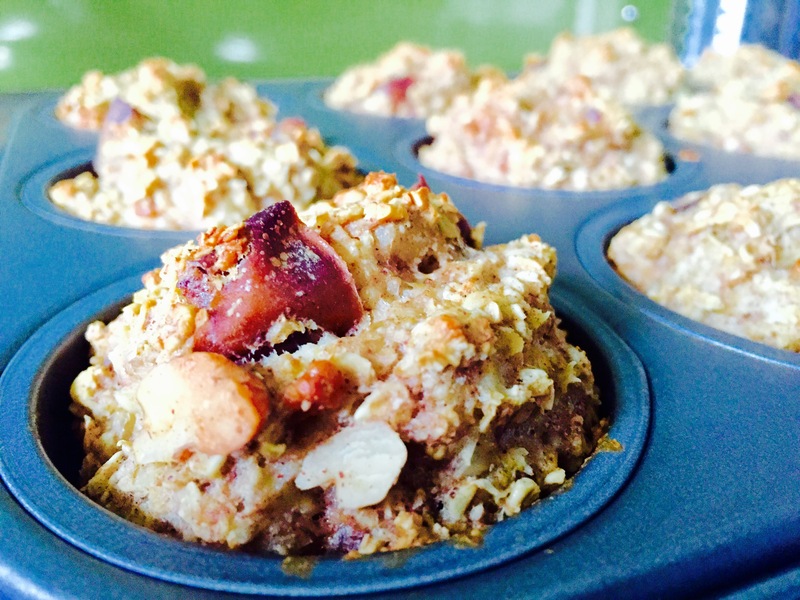 Enjoy making these this weekend and you’ll have a great start to your day! Thanks for reading and Happy Eating!